What a way to conclude 2013 with this magnificent work of fiction by Jan-Philipp Sendker. Born in Hamburg and currently living in Berlin, Sendker is a world-traveler who worked as an international correspondent for the German publication Stern. 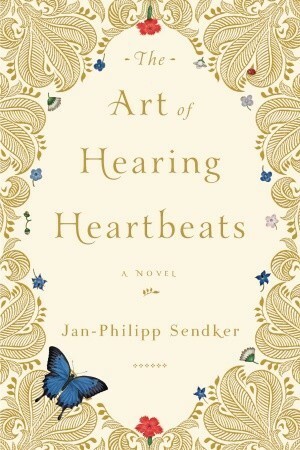 Originally published in German in 2002, it took a decade before the English translation of his first novel, The Art of Hearing Heartbeats, was released. The novel does an exquisite job weaving the past with the present. It tells the story of New York lawyer Julia Win, who travels to Burma to find her father Tin Win who had abandoned her family without a trace. It’s only after finding a love letter that he wrote to a mysterious woman does Julia learn how to piece together her father’s past. It’s difficult to discuss this book without giving too much away, but I’ll say that I haven’t had such a engrossing reading experience in a long time. At first you’re so ready to condemn Tim Win for leaving his family, but just as Julia learns more about her father, so do you. Understanding his actions by examining the obstacles he suffered as a child puts the story in a new light. What I love most about this tale is how in tune the plot is with its descriptions. Having never been to Burma (now known as Myanmar), I was transfixed by the beauty of the villages and the surrounding nature. Witnessing such an exotic location made me appreciate the artistry in my own backyard. This is a wonderful story of love and loss, hardship and heartbreak, seeing and believing. You’ll come away from it grateful for all that you have in your life, and inspired to seize the time that you have left on earth–a perfect read for the holidays! And the best part? 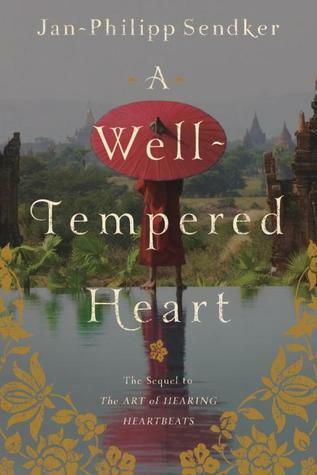 The book’s sequel, A Well-Tempered Heart, will be released on January 16, 2014!